This year's entry to the Cherry Blossom exhibit "A Textile Translation" is designed using all silk fabrics. The surface design is hand painted and shibori dyed by me. 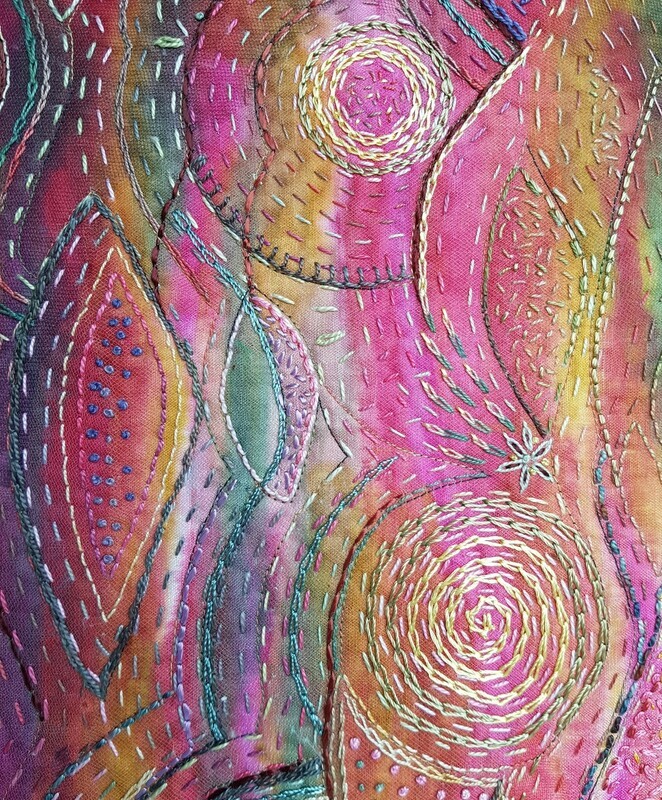 I have also done the applique, embroidery and quilting by hand using a variety of threads. A sleeve has been attached to the back for hanging on a rod. Cotton whole cloth hand dyed by me. Reverse applique with silk and lace. Hand embroidered and quilted with various specialty threads. Backed with a silk batting and batik cotton. Bound with silk and sleeve attached for hanging. and lots of hand embroidery!